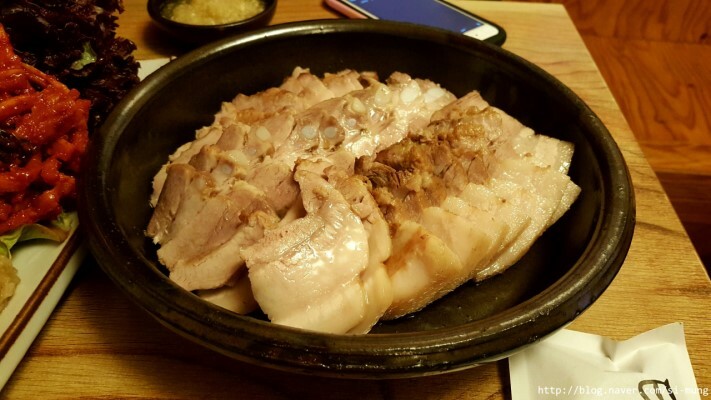 A local favorite, this restaurant in Insadong serves exactly what it promises to deliver–thick slices of boiled pork smothered in garlic. Wrap your slice of pork in either the refreshing, white kimchi or the spicy, red one and prepare to enjoy a tantalizing combination of meat and flavor. Side dishes such as the binddaetteok (mung bean pancake) are also delicious if you’re coming with a large group and looking to share dishes.